Late night television is a staple of American households. You get off work and want to sit down, unwind, maybe enjoy some family time and then suddenly you’re hit like a ton of liberal bricks in the face with condescension you weren’t expecting. And a poll about late-night hosts revealed something that you should probably see. 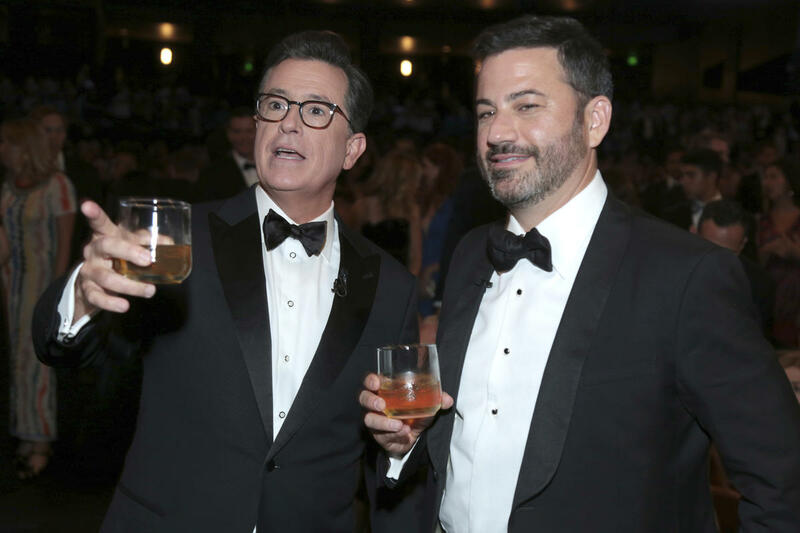 Liberals love late-night television because it’s all about that mutual hatred for President Trump. Every night on network television is bloviated jokes about a nonsensical liberal propaganda designed to brainwash America into thinking how the “host” feels. Nobody is worse at that than Jimmy Kimmel and Stephen Colbert who host Jimmy Kimmel LIVE and The Late Show respectively. And that’s why a new poll from The Hollywood Reporter was devastating to them. It makes you wonder how they even survive these kinds of numbers. The thing you should know is that late-night talk shows are a low-risk budget but high reward situation. It’s kind of a mitigated risk situation though where obvious profit over the highest commercial numbers because it’s so cheap, depends on the profitability of the talent. Late-night talks shows are a multi-camera everyday show with low risk — a guy sitting a desk just talking. It’s cheap. but if they can make more money with this guy than the next guy then it’s more profitable for all parties. Make sense? Point being; if they could get Jerry Seinfeld to host one of these late night shows – how much do you think he would sabotage his ratings to speak how he personally feels about politics? He wouldn’t. It’s career suicide. And statistics from some of the other late night hosts are even worse. The Hollywood Reporter also noted, “Meanwhile, 33 percent of respondents viewed HBO’s Bill Maher favorably, with Comedy Central’s Trevor Noah (30 percent), HBO’s John Oliver (28 percent) and TBS’ Samantha Bee (21 percent) trailing by that measure. And here’s the juicy part about these statistics. It gets political. All this means it’s even worse for the ancillary shows that aren’t on network television. That’s not technically surprising when you consider that a portion of the population only has access to network television. It’s specifically bad for Samantha Bee whose show is literally designed around Trump hatred. They’re not even unapologetic about it. The difference between John Oliver’s Last Week Tonight and the others is that although they do “recap” the week with a bunch of Trump nonsense, they actually surprisingly do a lot of investigative journalism about issues you had no idea about it. You just have to know that literally everything you see on late night television in terms of talk shows is aggressively liberal. One thing Bill Maher always perpetuates on his HBO show is that liberals don’t know how to stand up or fight back against Republicans in what they think is a vicious way. He perpetuates meet nasty with nasty. Instead, liberals are too worried about politically correct culture. Maybe that’s why these numbers are so startling.